Born in Roscommon, Ireland in 1790, son of Miles McDermot, he was educated privately as a Roman Catholic. He was subsequently recruited by Lord Selkirk for the Hudson’s Bay Company in 1812, and sailed from Sligo aboard the Robert Taylor. When there was a mutiny on ship, he supported the mutineers. He always claimed he learned to speak Gaelic on this voyage. He chafed at his slow advance in the HBC and retired to Red River in 1824, where he opened his own store and engaging in the fur trade under special license. He speculated in land in what would become Winnipeg, and McDermot Avenue, located at the north edge of his property, is named after him. He was appointed to the Council of Assiniboia in 1839. In the 1840s he was a leading supporter of free trade in the fur trade, resigned from the Council but returned in 1847, becoming ex officio President of the General Quarterly Court in 1849. 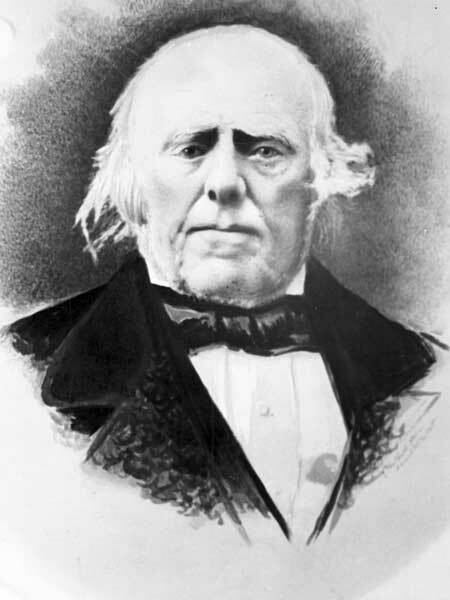 He resigned his offices in 1851 because of lack of trust in Major William Caldwell as Governor of Assiniboia. In 1816, he married Sarah McNab (?-?) at Norway House. They had fifteen children, including Annie McDermot Bannatyne, Jane McDermot (wife of Joseph N. Taillefer), Harriet McDermot (wife of Alexander Roff Lillie), Fanny McDermot, Thomas McDermot, Henry McDermot, Marie McDermot (wife of Mr. Lane), Ellen McDermot (wife of Mr. Bird), Andrew McDermot, Miles McDermot, Charles McDermot, Catherine McDermot (wife of Mr. Truthwaite), and Sarah McDermot (wife of William McTavish). He was a member of St. John’s Cathedral after leaving the Catholic Church in 1866, and subsequently helped found Holy Trinity Anglican Church. He stayed out of the Red River Rebellion, and became an honoured senior citizen of Manitoba. He provided land for Winnipeg’s first post office and, with his son-in-law, A. G. B. Bannatyne, land for the Winnipeg General Hospital. He was one of the founders of the Winnipeg Board of Trade, in 1873. He died at Winnipeg on 12 October 1881 and was buried in the cemetery of St. John’s Cathedral. Andrew McDermot, Dictionary of Canadian Biography XI, 545-46. We thank Elaine Proctor for providing additional information used here.